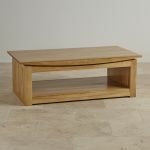 The Tokyo Natural Solid Oak Large Coffee Table displays the distinctive bowed top of the Tokyo design beautifully. 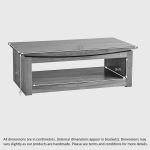 The table features box-sculpted legs and a lower full width shelf, which is ideal for tidying away magazines, books, TV remotes, DVDs and more. The spacious table top is big enough to accommodate even the largest coffee morning or teatime spread. 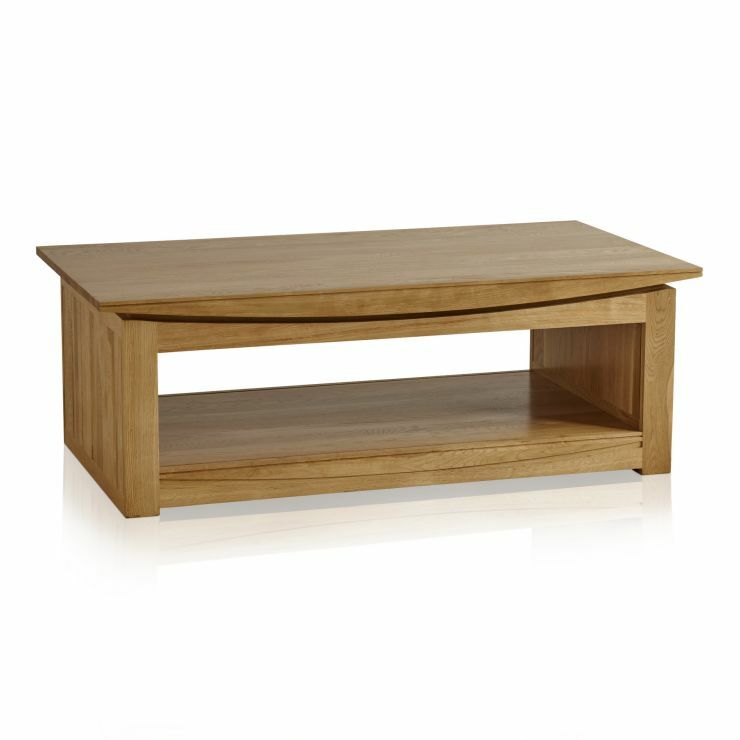 We only use the finest quality solid oak in our furniture, even the backs, bases and drawer runners. 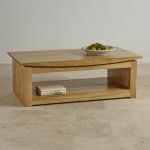 Our furniture is finished in natural clear furniture wax; both to enhance the golden grain of the wood and to provide a clear layer of protection against any damage. 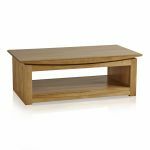 One of many living room items in the Oriental inspired Tokyo range; this large coffee table will perfectly complement other pieces in this stunning collection.